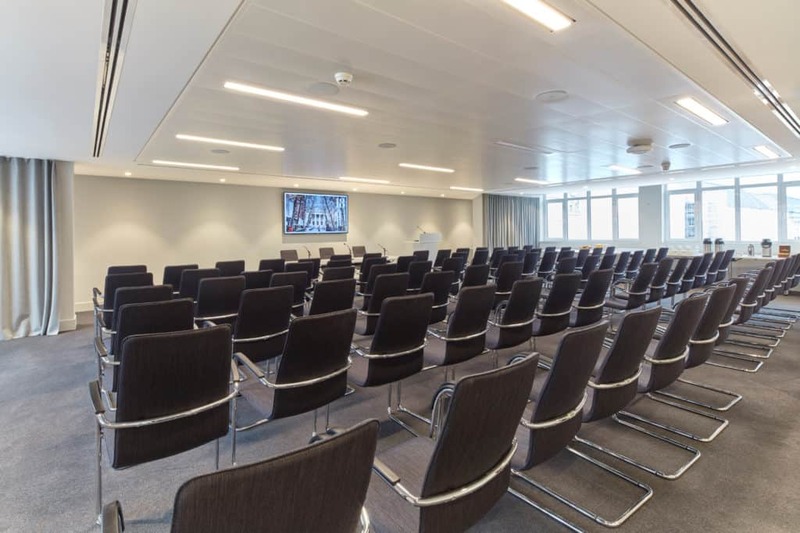 A popular room for plenaries and briefings, this large conference room offers window views of the Houses of Parliament and Westminster Abbey. With natural dual light aspect, both south and east facing, this is a bright and airy space. 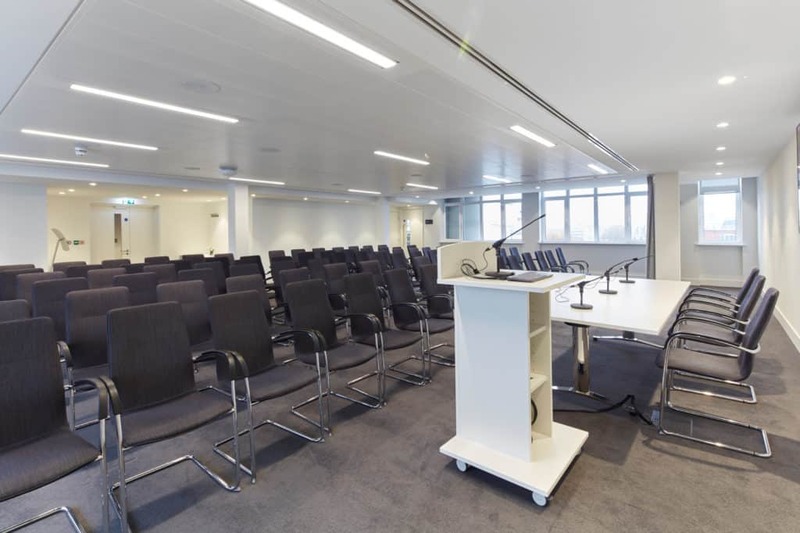 Located on the 8th floor, Westminster can be used for various layouts, including 80 guests theatre style, 56 cabaret style or 40 boardroom style, and with standing receptions for 120 guests. Complimenting this room are the Thames and St. John’s breakout areas which can be hired in conjunction with the main space. We can also provide AV technicians on request (please note additional charges will apply for this service). 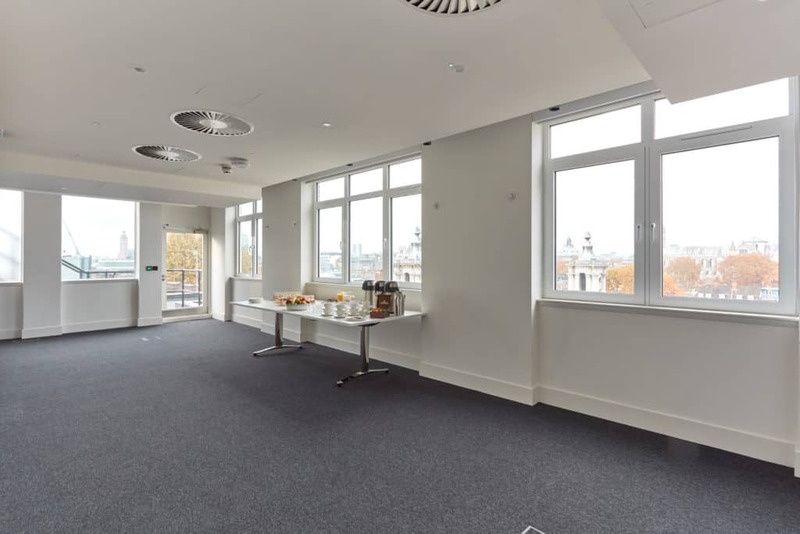 Combine Westminster with the Thames room or St John’s room for catering or break-out options. For events with less than 56 guests catering can be served at the side of the room. For groups larger than 56 guests, the hire of an additional room is required. 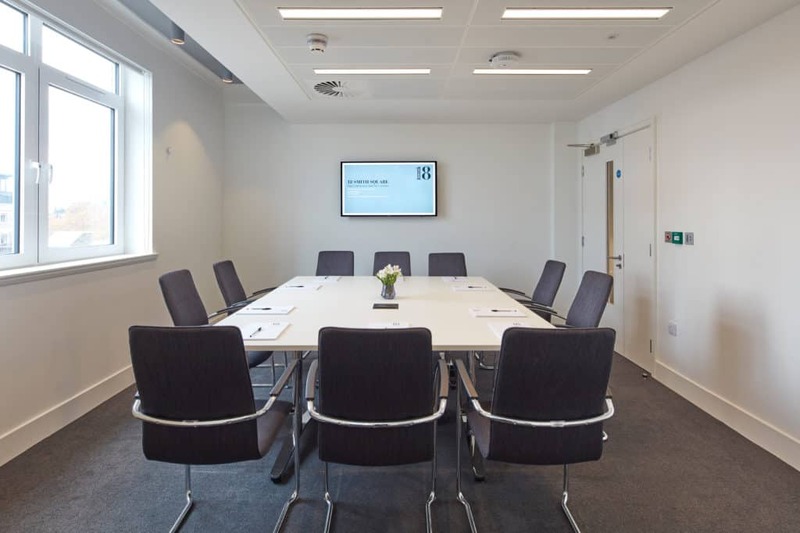 Our St. John’s and Thames rooms can be used as a catering or networking space.